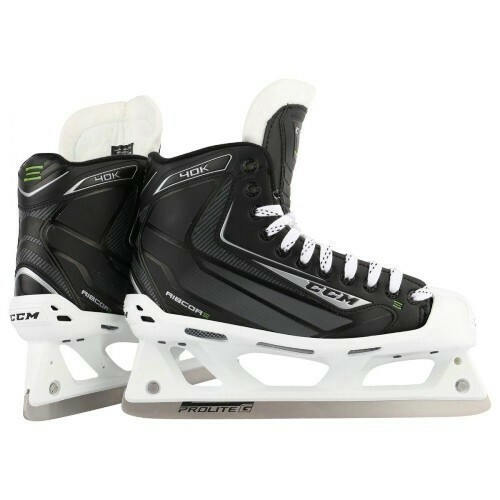 New for 2016, CCM brings back their most comfortable boot and brought you the CCM RibCor 40K skates. The 40K skate is centered around a medium fit boot and toe box, with a slightly wider heel to fit a larger foot. The outside quarter package is made of the “Elite Synthetic” material which aids in forward flexion and mobility. The liner of the skate is packed with the Brushed Nylon material which is designed to keep the foot in place throughout game play. CCM has incorporated a 2-piece felt tongue to reduce the risk of lace bite across and keep the foot comfortable.